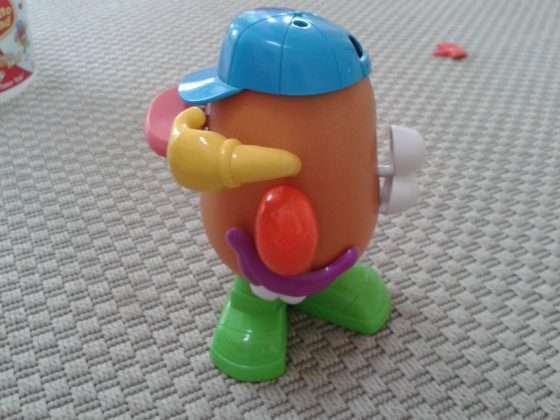 Here is a very simple game to play with a toddler. The rules are simple–the child will mimic what is being done. By doing so, the child learns to follow simple direction and important vocabulary. 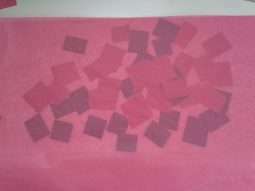 Cut some green and red construction paper into strips and then into squares. Two pieces of paper should be plenty. 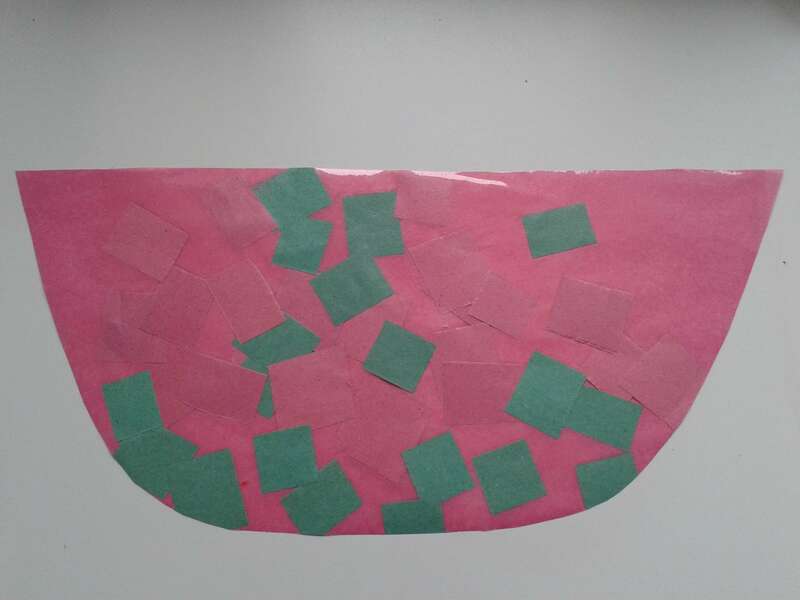 Cut a piece of contact paper the size you want your piece of watermelon to be. Take off the paper part to reveal the sticky side. 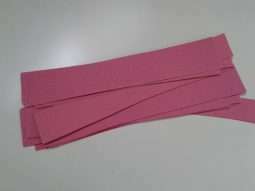 Turn the sides of the contact “paper” under at each end so it holds the piece in place for your toddler. 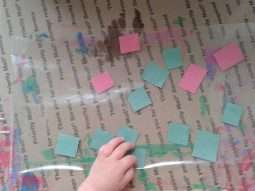 Guide your toddler as she/he places red and green squares onto the sticky side of the contact sheet (it’s okay if they are randomly placed, as long as they are placed so they stick!). Flip the contact sheet over and place a piece of tissue paper in a coordinating color to the back. 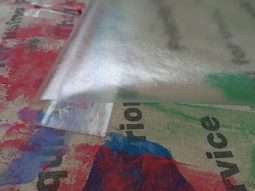 This will act as a filler to cover any exposed contact paper parts and add color. *This is optional. My toddler didn’t quite fill up the space, which is okay. But, I needed a backing. Cut mosaic watermelon to resemble the shape of a piece of watermelon. 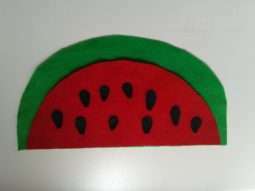 After we completed this craft, I was thinking that it would be cute and more watermelon-like to add a few small pieces of black construction paper to the mix (to stand in as seeds). This toddler craft is lovely as the sun shines through it while it hangs in a kitchen window. This is a super simple counting activity that I came up with on the fly. 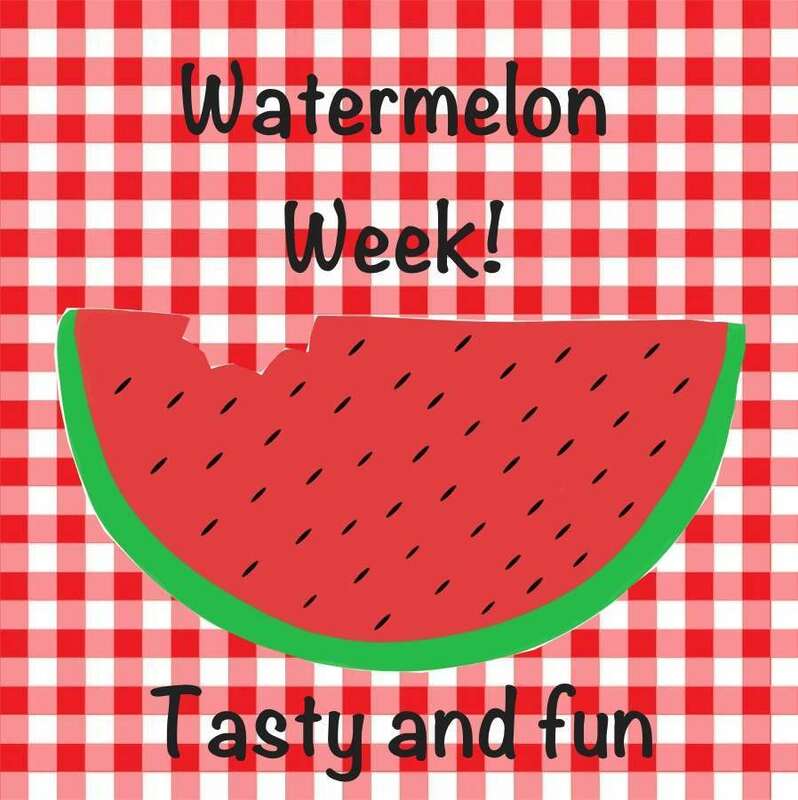 I love that it features the watermelon (our theme for this week) and is something I can keep “on file” as my little one grows in his understanding of numbers. For example, this could easily be used with preschoolers to not only teach counting, but basic number operations (addition, subtraction, multiplication and division). 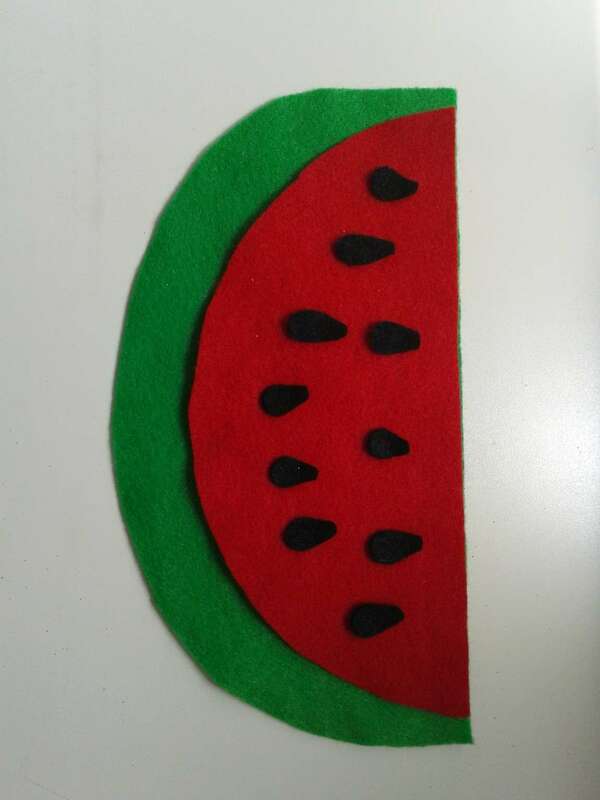 Using a large paper plate, trace half of the plate onto the red piece of felt (use the edge of the felt as a guide). Next, trace 3/4 of the paper plate onto the green piece of felt (again, using one of the sides). Cut out both pieces. Place the red piece on top of the green piece so that some of the bottom portion of the green is showing (it should resemble a piece of watermelon–the green rind and then the red “flesh”). Using the edge of the red felt as a guide, place one glue dot every inch or so in between the red and green pieces so that they hold together in place. With the black felt, cut out the seeds. I folded a small piece of black felt in half and then cut out a shape that resembled a seed. 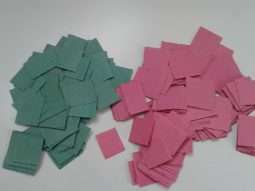 By folding, I was able to get two seeds per cut.